President Barack Obama spoke with Iranian President Hassan Rouhani today, as the Iranian leader was heading to the airport to leave New York after attending the U.N. General Assembly meeting. During his time in the U.S., Mr. Rouhani made a number of public addresses indicating that Iran was open to restoring relationship with the U.S. and resolving conflict around the nuclear program in Iran. It is the first time leaders from the U.S. and Iran have direct communication since the Tehran hostage crisis more than three decades ago in 1979. I was given an address in Tehran from PostCrossing on August 23, 2013. I hesitated to send out a card for a few days because I didn't want to give a reason to the NSA spying for communicating with people in Iran. However, since we PostCrossers had already been sending out mails oversea for sometime, we would have been targets already if they chose to do so. Traveling postcard US-2379246 shows a pair of table tennis paddles and a Ping-pong ball. Each paddle is decorated with a U.S. national flag and a Chinese national flag respectively. 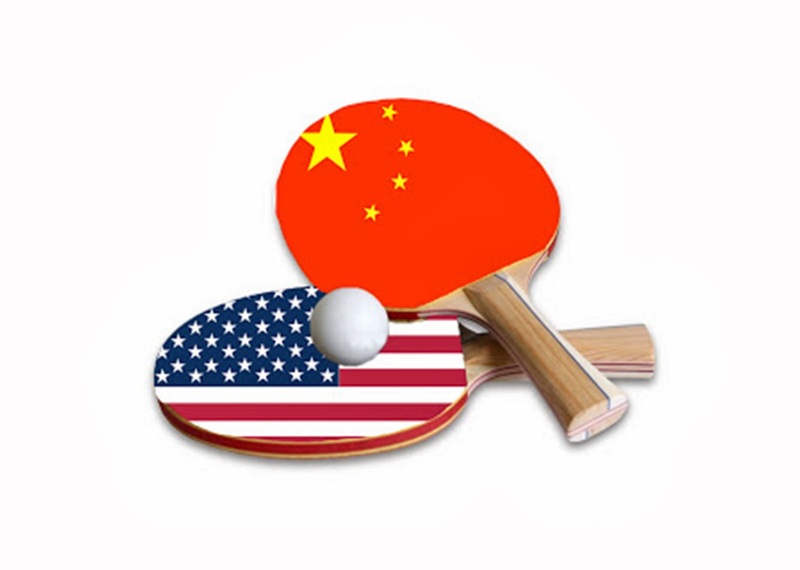 The postcard refers to the Ping-pong diplomacy that started with the exchange of table tennis players between the United States and People's Republic of China in the early 1970s. The event marked a thaw in U.S.- China relations that had been frozen since 1949 and paved the way to a visit to Beijing by President Richard Nixon. If history can be a guide, I am hopeful that an improved U.S - Iran relationship would contribute to the peace and prosperity in the Middle East and the world. Update: The postcard was sent on September 2, 2013 and received on October 7, 2013.